Whew! After waiting for days it finally arrived. I just decided to have a wedding tag a week before our wedding reception because I was really doubtful of having one. But ends up getting one instead. I could still remember every morning and evening I checked the courier to make sure where's my stuff at every day. 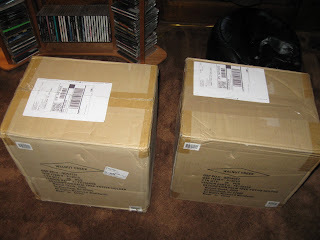 Gladly, I have finally received these two packages 2 days before the big wedding reception. So excited to put the tags and make everything be ready for the day. good for u sis! share pics of the wedding naman. Seems like everything's set for the wedding. Wow! We're all so excited for you. :) Congratulations!